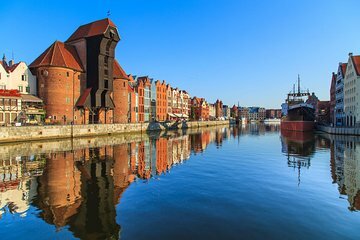 Explore Gdansk Old Town on this private walking tour. Take the stress out of navigating, and put your full focus on enjoying the sites, as you’ll have a private guide to lead the way. Your experience will be much more enjoyable than if you were traveling alone, as you’ll learn about local legends, and historical facts from your guide. Get your bearings of the city, see Arthur’s Court, the Royal Way, Neptune Fountain, and much more.